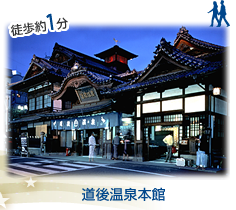 It is a country's important cultural asset and it is said to be the oldest hot spring in Japan. In the morning, the evening and the evening we will inform the time with the sound of the drum. 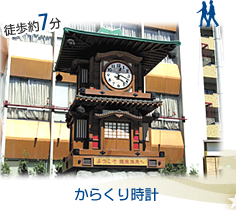 Another outside hot spring which was added in 1952.It is in the shopping street. 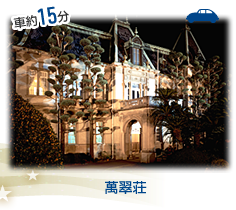 Shikoku’s sacred sites No. 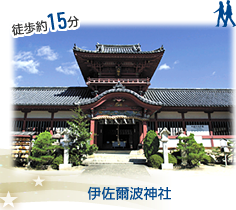 51 Buddhist Temple.It is an important cultural asset with impressive appearance as a building. 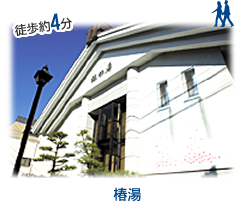 Materials concerning literary people and haiku people who had exchange with the climate of Matsuyama and Shiki Masaoka are exhibited. 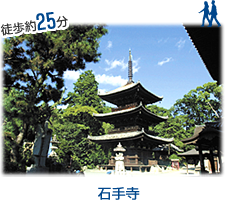 It is an important cultural asset of the country, with only three Hachiman-zukuri architecture whole country together with Iwashimizu Hachimangu Shrine in Kyoto, Usa Hachimangu Shrine Iwashimizu Hachimangu Shrine in Oita. 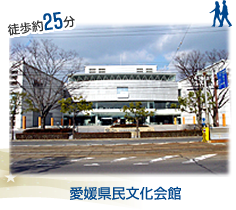 Facilities that hold conventions and events such as various concerts, ceremonies, lectures, symposia, exhibitions. 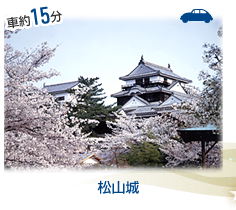 A symbol of Matsuyama you can see from anywhere.The view from the castle tower is wonderful.It is an important cultural asset of the country. 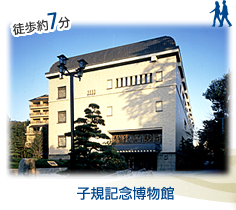 Beginning in 1954, he became a prefectural art museum hall, and is exhibiting mainly a prize from a local art exhibition. 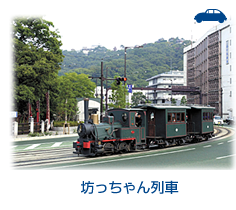 In the novel "Botchan", the characters originate from the use of this steam locomotive. 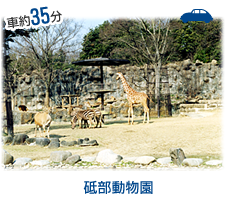 Zoological Gardens in the Tobe Town.West Japan's largest grade. 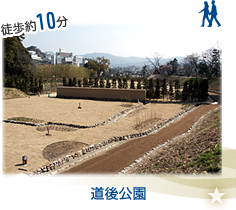 There are Toritani Pond with beautiful waterside landscape, orchard and others, rich place of environment of about 35 hectares.It is a popular spot for families with children. 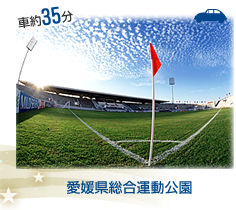 Ehime prefecture is open to respond to the wide range of recreational activities as well as sports promotion of citizens. 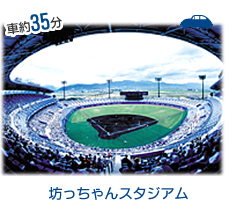 Ehime baseball stadium where professional baseball also comes to the game.